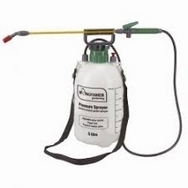 5 Litre Cluster Fly Insecticide Sprayer is a top quality pressure sprayer ideal for use with our Cluster Fly Killer Insecticide 5 Litre. Please see below. Please note that we would always recommend a comprehensive cluster fly treatment with a range of products that we sell either in kit form or separately. Please see below. And for added, year round control of cluster flies, you may consider the use of an automatic insecticide dispenser or an electric cluster fly killing machine. Please see below.